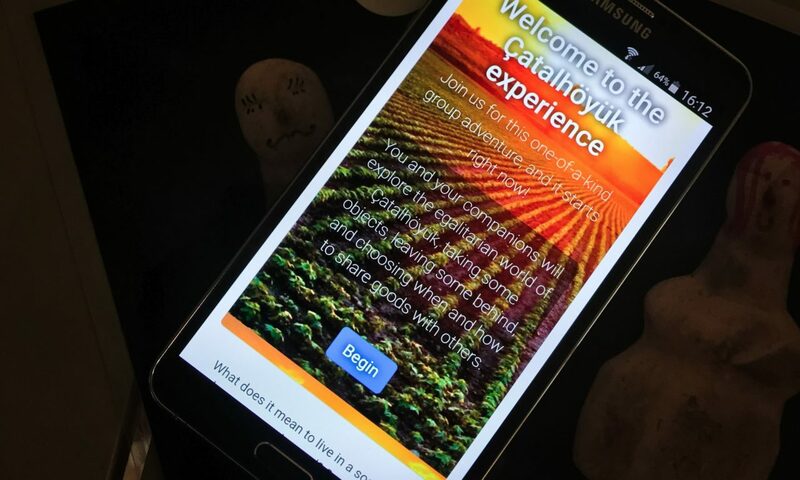 The Exploration of Egalitarianism Digital Education Kit, developed in the context of the project EMOTIVE, invites students aged 11-14 to investigate the Neolithic site of Çatalhöyük and its egalitarian society. Within the framework of a three-part experience, students are tasked with collaborative decision making and constructive peer-to-peer dialogue as they use 3D printed objects, virtual tours of replica houses, and a multi-user Chatbot, to explore the history of the archaeological site and the nature of egalitarianism. 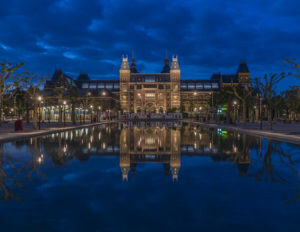 Dialogic methods and pedagogical strategies, drawn from heritage interpretation and history education respectively, are embedded within the digital tools to develop the key skills of historical empathy, namely historic contextualisation, perspective taking, and affective connection. The preliminary multi-evaluation conducted demonstrates the kit to be an effective means to promote historical empathy. * EMOTIVE is a sibling project of VIMM. Both were funded under the same call: H2020-SC6-CULT-COOP-2016. The project EMOTIVE (Emotive virtual cultural experiences through personalized storytelling - https://www.emotiveproject.eu) is a Research and Innovation (RIA) action, addressing the topic CULT-COOP-08-2016: Virtual museums and social platform on European digital heritage, memory, identity and cultural interaction. The EMOTIVE consortium brings together the resources of 8 participating organizations from 5 European countries (UK, Greece, France, Italy and Ireland), each an expert in their respective fields and with significant research experience. The consortium includes industrial partners: EXUS Software Ltd (EXUS), Diginext Sarl (DXT), NOHO Limited (NOHO); academia and research institutions: ATHENA Research and Innovation Center in Information, Communication & Knowledge Technologies (ATHENA), University of York (YORK), Institut National de Recherche en Informatique et Automatique (INRIA), Consiglio Nazionale delle Ricerche (CNR), University of Glasgow (UGLA) and user-related partners: YORK, UGLA, and NOHO. The Exploration of Egalitarianism Digital Education Kit has been developed as one of the project use cases through collaboration between the University of York for cultural content, curation and experience design, and the ATHENA Research Centre for the provision of technological support for design and implementation. 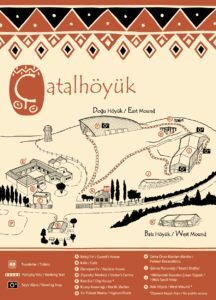 One of the most important archaeological sites in the world, Çatalhöyük is a densely packed Neolithic (New Stone Age) settlement in central Turkey which dates back 9000 years. Inscribed as a UNESCO World Heritage Site (WHS) in 2012, Çatalhöyük now sees more than 20,000 visitors annually, and has been the subject of scientific investigation for c.60 years. Researchers from around the globe travel to the site to study its vast landscape of buildings, remarkable ways of life, and its many exquisite works of art and craft. Together, visitors and researchers are working to pioneer new archaeological, conservation and curatorial methods in order to advance our understandings of human beings in the past. EMOTIVE now aims to share Çatalhöyük’s inspiring and unusual stories of birth, life, death and afterlife with an even broader audience. The EMOTIVE project aims to use emotional storytelling to change how we experience heritage sites. The overarching goal of EMOTIVE is to develop prototype tools and applications for heritage professionals and visitors that produce interactive, personalized, emotionally-resonant digital experiences for museums and cultural sites, both on-site and virtual. Developed in the context the EMOTIVE Project, the Exploration of Egalitarianism Digital Education Kit, employs a facilitated dialogue framework and emergent digital tools including a chatbot to determine how, if at all, historical empathy can be applied to pre-historic heritage sites. It has been designed as a group activity for children aged 11-14 to be experienced off-site, in the context of the classroom or other informal learning setting. 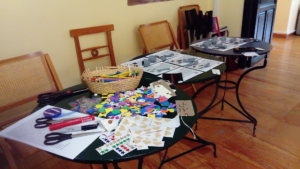 Groups of 2-3 children follow this 1.5 hour activity through 4 stages: 1) An individual profiling quiz, which assigns them a 3D printed object. 2) Personalization of their object. 3) A mobile storytelling experience which walks them through interactive 360° images of the four Çatalhöyük reconstructed houses. 4) A group activity which promotes meaningful dialogue facilitated by a chatbot. As the use case has been developed in the context of the EMOTIVE project, there has not been a specific budget planned for this use case. The technologies employed had already been developed by the ATHENA team and external software has been used for the chatbot. So the main effort was dedicated to experience design and implementation with the available technological solutions. The first section of the Kit, the introductory personality quiz, is a custom-made web application. The Storyboard Editor is an authoring tool for interactive digital storytelling targeted to authors with minimal-to-no technical expertise. Using the convention of the storyboard, this tool enables creators to organise their content and create interactive activities using predefined templates. 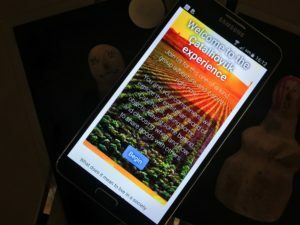 The ATHENA mobile application supports the delivery of experiences created from the Storyboard Editor to the museum’s visitors. The Floor Plan Editor enables museum experts to create virtual representations of their cultural heritage sites by organising 360° photographs through a web environment. These virtual spaces are viewable through the EMOTIVE’s Web Experiencing System along with a storytelling experience originally made to be used on-site, bringing the same experience off-site. SnatchBot is a free cloud-based chatbot platform to build bots for Facebook messenger, Skype, Slack, SMS, Twitter, WebChat and others and was used for the development of the experience chatbot. The Exploration of Egalitarianism Digital Exploration Kit was developed on a part-time basis for four months by two EMOTIVE partners: the University of York for cultural content, curation and experience design, and the ATHENA Research Centre for the provision of technological support for design and implementation. The Exploration of Egalitarianism Digital Exploration Kit is used for research purposes in the context of the EMOTIVE project. 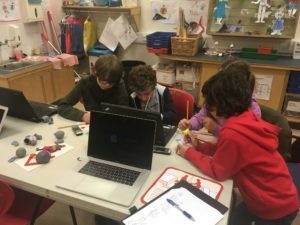 The Digital Education has been successfully evaluated with more than two dozen children registered in Young Archaeologists’ Clubs in the North of England. These preliminary multi-faceted evaluations (observations, focus groups, questionnaires, digital logs of interactions with the bot) demonstrate the kit to be an effective means to promote historical empathy. The Exploration of Egalitarianism Digital Education Kit provides an example of the combination of different technologies to provide a more emotional approach to cultural heritage off-site experiences. Although it is developed within the framework of an EU-funded research project, the design pipeline, impact results, and especially technological outcomes are a powerful resource for cultural heritage institutions and professionals who aim to bring new perspectives to the enjoyment of cultural heritage by wider audiences. EMOTIVE has received funding from the Horizon 2020 EU Framework Programme for Research and Innovation under grant agreement no. 727188. Roussou, M., Perry, S., Katifori, A., Vassos, S., Tzouganatou, A., & McKinney, S. (2019). Transformation through Provocation? Designing a “Bot of Conviction” to Challenge Conceptions and Evoke Critical Reflection. In CHI 2019: ACM CHI Conference on Human Factors in Computing Systems (in press). Glasgow, Scotland, UK. Laia Pujol (UPF) – Final edition.